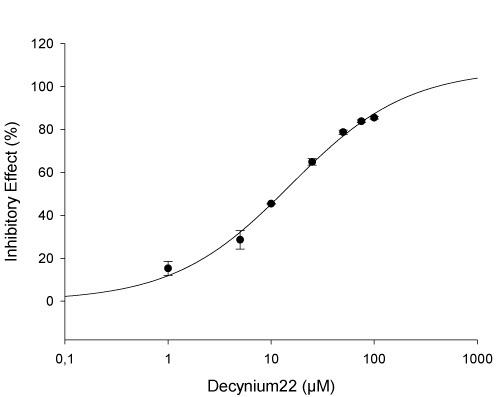 In humans, the organic cation transporter OCT1 (SLC22A1) is the highest expressed membrane protein in the liver and is localized on the sinusoidal membrane of hepatocytes. In the liver OCT1 mediates the uptake of endo¬genous compounds like serotonin, prostaglandins, choline, acetylcholine, and corticosterone as well as structural different drugs. OCT1 is a genetically polymorphic transporter with severe functional consequences. Biomedical impact: Genetic variants of SLC22A1 have been shown to modulate the pharmacokinetics of metformin after oral administration and reduce the therapeutic response, presumably by decreasing the hepatic uptake of the drug. OCT1 was shown recently to be the rate-determining step in the clearance of several drugs in humans, and thereby a mechanism of pharmacogenetic variability and drug–drug interactions (DDIs). Therefore, the regulatory agencies decided that drugs eliminated significantly via the liver have to be tested as potential inhibitors (substrates) for hOCT1.